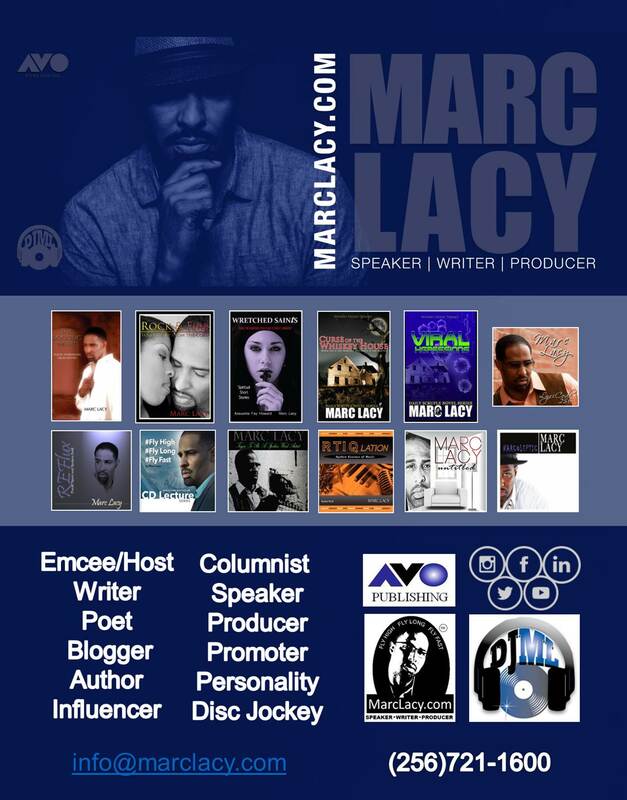 Huntsville’s own Marc Lacy, a graduateofAlabama A&M University is a nationallyrenowned, award winning poet/authorand a lecturer. He has performed all overthe country at many national literaryevents and spoken word venues. Marc isalso a reputable fiction writeras well asa blogger for Marc Lacy Spoken Word, Music, &Writing Fan Page on Facebook. Additionally, Lacy is a columnist for LuxLifeATL.com. Alongwith writing and performance, Marcutilizeshis wordsmith talent and poeticflair as hefacilitates lectures, conductsworkshops, anddelivers motivational speeches concerningwriting,communication, and self-development.Lacy credits his faith in God and love offamilyfor providing energy he needs, tosucceed.